When fragile 16-year-old Hope Walton loses her mom to an earthquake overseas, her secluded world crumbles. Agreeing to spend the summer in Scotland, Hope discovers that her mother was more than a brilliant academic but also a member of a secret society of time travelers. And she's alive, though currently trapped in the 12th century, during the age of Eleanor of Aquitaine. Hope has 77 hours to rescue her mother and get back to their own time. 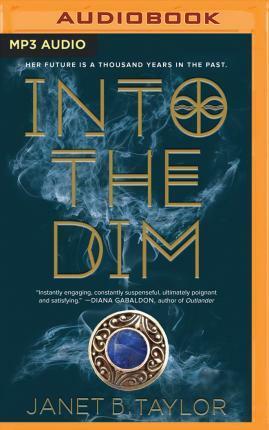 Passing through the Dim, Hope enters a brutal medieval world of political intrigue, danger, and violence. A place where any serious interference could alter the very course of history. And when she meets a boy whose face is impossibly familiar, she must decide between her mission and her heart--both of which could leave Hope trapped in the past forever.